A banner tied in Yogyakarta, reading: “SOLIDARITY WITH ALL ANARCHIST AND ANTI-FASCIST IN RUSSIA, LONG LIVE ANARCHY! 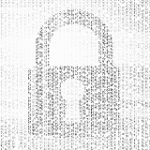 MIKHAIL”. 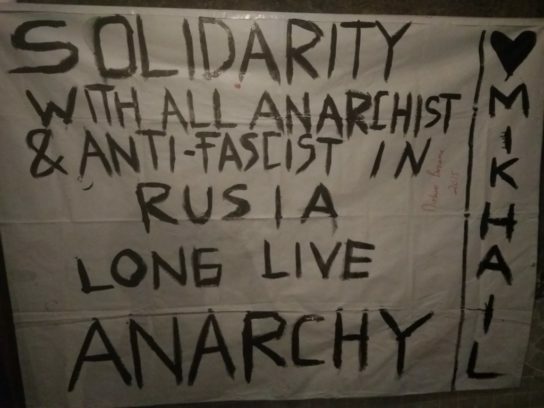 Anarchists and Anti-Fascists in Russia have faced a wave of repression from the State following an action carried out by a 17-year-old young anarchist named Mikhail Zhlobitsky who blew himself up at the Arkhangelsk city FSB building on the morning of October 31. After the action some Anarchists and Anti-Fascists were arrested and received continued repression. 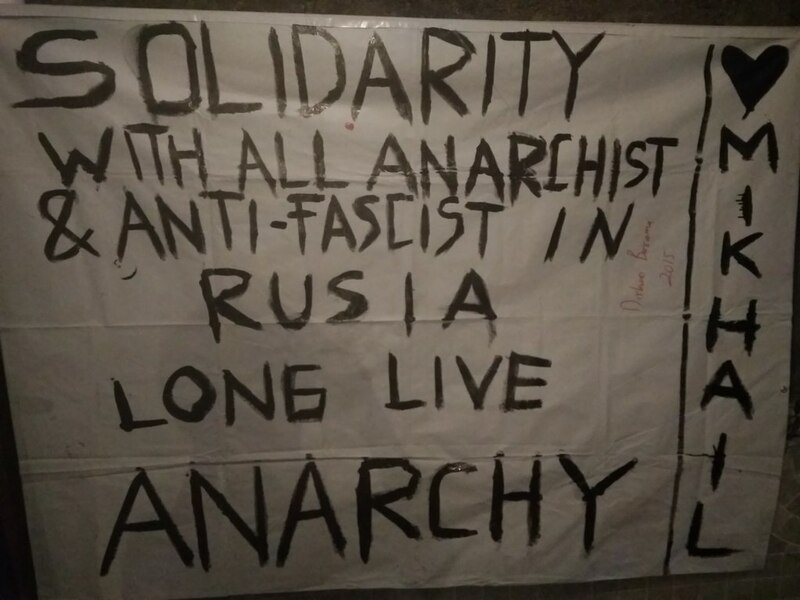 We hope for solidarity and strength for all anarchists and anti-fascists in Russia, Indonesia and worldwide. From the Anarchist Individualist Network of Yogyakarta to comrade Mikhail, all Anarchist and Anti-Fascist in Russia!